Digital average speed cameras coming | What Car? New speed cameras that can measure average speeds over vast areas will be used for the first time next summer, following successful trials in London. The new cameras use digital technology, so they will never run out of film, and do not need to be connected by cables. 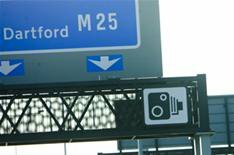 As many as 50 cameras can communicate from up to 15 miles apart, automatically reading numberplates and transmitting information on speeding motorists direct to a processing centre. Current average speed cameras only work in pairs and need to be connected by cable. As a result, they are costly to install and drivers can evade detection by turning off between the cameras. Road Safety Minister Jim Fitzpatrick said the new cameras would bring significant safety benefits as well as reduce congestion by making traffic flow more smoothly.